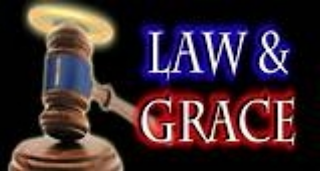 Are grace and law opposed to one another? Since we are under grace, do we still have to keep the law? Grace is God’s unmerited favor which He bestows upon all those who repent and trust in Christ. Grace has been called; God’s riches at Christ’s expense. God gives us what we do not deserve. If grace were merited, then it wouldn’t be grace anymore but salvation by works and no one is saved by works. Paul clearly defined this in Romans 11:6 says “But if it is by grace, it is no longer on the basis of works; otherwise grace would no longer be grace” and “For by grace you have been saved through faith. And this is not your own doing; it is the gift of God, not a result of works, so that no one may boast” (Eph 2:8-9). IN his Epistle to the Romans, Paul writes "For as by one man's disobedience many were made sinners, so by the obedience of One shall many be made righteous. Moreover, the law entered that the offense might abound. But where sin abounded, grace did much more abound: that as sin hath reigned unto death, even so might grace reign through righteousness unto eternal life by Jesus Christ our Lord." Moses was the representative of the law. You remember that he led the children of Israel through the wilderness, and brought them to Jordan; but there he left them. He could take them up to the river, which is a type of death and judgment; but Joshua (which means Jesus -- Saviour) led them right through death and judgment -- through the Jordan into the Promised Land. Here we have the difference between Law and Grace; between the Law and the Gospel. Take another illustration. John the Baptist was the last prophet of the old dispensation -- the last prophet under the law. You remember that before Christ made His appearance at the Jordan, the cry of John, day by day was, "Repent: for the kingdom of God is at hand!" He thundered out the law. He took his hearers down to the Jordan and baptized them. He put them in the place of death; and that was as far as he could take them. But there was One coming after him who could take them into the Promised Land. As Joshua led the people through the Jordan into Canaan, -- so Christ went down into the Jordan of death, through death and judgment, on to resurrection ground. If you run all through Scripture you will find that the law brings to death. "Sin reigned unto death." A friend was telling me lately that an acquaintance of his, a minister, was once called upon to officiate at a funeral, in the place of a chaplain of one of Her Majesty's prisons, who was absent. He noticed that only one solitary man followed the body of the criminal to the grave. When the grave had been covered, this man told the minister that he was an officer of the law whose duty it was to watch the body of the culprit until it was buried out of sight; that was "the end" of the British law. And that is what the law of God does to the sinner; it brings him right to death, and leaves him there. I pity deep down in my heart those who are trying to save themselves by the law. It never has; it never will; and it never can -- save the soul. When people say they are going to try and do their best, and so save themselves by the law, I like to take them on their own ground. Have they, ever done their very best? granting that there might be a chance for them if they had, was there ever a time when they could not have done a little better? If a man wants to do his best, let him accept the grace of God; that is the best thing that any man or woman can possibly do. law tells us that He desires the perfections of the Father to be growing in us. Only God's grace is sufficient to carry out such a process of transformation. 17. Law brings death (Deut. 21:22-23). Grace gives to us the quietness and assurance of peace (Rom. 5:1). 18. The Law retaliates (Ex. 21:24). The Grace of God redeems (Gal. 3:13). 20. Because of the Law, three thousand were slain (Ex. 32:28). Because of the Grace of God, three thousand were saved (Acts 2:41). 21. The Law is unsatisfying to the conscience (Heb. 10:1-2). The Grace of God is unfailing in its forgiveness and remedy for sin (Heb. 9:12-14; Heb. 10:10-14). 22. The Law is the voice of consternation (Heb. 12:18-21). The Grace of God is the voice of covenant, blessing, peace and assurance (Heb. 12:22-24). 23. When the Law was given, Moses' face shown, and the people feared (Ex. 34:30). Grace brought by Jesus Christ attracted the people to the face of Jesus (Mark 9:15). 24. The Law was a yoke of burdensome weight (Gal. 5:1). Grace is to be in the yoke with Jesus, which makes the yoke easy and the burden light (Matt. 11:29-30). God's salvation in defiance of the accusations of the adversary. "He that heareth My word, and believeth on Him that sent me, hath everlasting life, and shall not come into judgment (condemnation), but is passed from death unto life."